I have Ubuntu 16.04 installed in my computer, I have Broadcom Wifi in my computer. This wifi is not able to connect to the weak wifi signals around the computer, these are connected by my friends' laptops having Windows and my Smart Phone can too connect to the wifi, but my laptop cannot connect to those signals, in my hostel given to the students. Please help me I initially had Ubuntu 14.04, same problem was there then I washed it and newly installed Ubuntu 16.04, the problem continues here too. And at my home, we have a good wifi, strong signal, it connects easily. I've been using Linux for a while in many multiple computers, work, home, the laptop I got from work, girlfriend's computer... And I never had a worse experience than with the Wifi card you have. My employer gave me a Dell Vostro 3306 if I recall correctly, which had this card. The solution I found was simply to change the Wireless adapter. I tried many things, different drivers, distros and approaches; and I ended up using a card from a dead notebook. Replacing the Wifi card is very easy, so don't be afraid. Trust me, you'll save a lot of time by using a different card, and they are not expensive. If you remind me later, I can send you the models I have in my 2 laptops, which work great in Linux, without any strange setup. Maybe this is not what you were expecting as an answer, but at least will help you save time -or invest it in the right things. This is quite normal and also happens in windows (maby to a lesser extent). Your friend's laptop and phone may have a better wireless card than your laptop. When i put my laptop right next to my brother's laptop that runs windows 10, I, on ubuntu 16.04, get a lot better wifi signal than he does, despite being in the same position. His windows phone also gets a lot better reception than his laptop with windows on it. 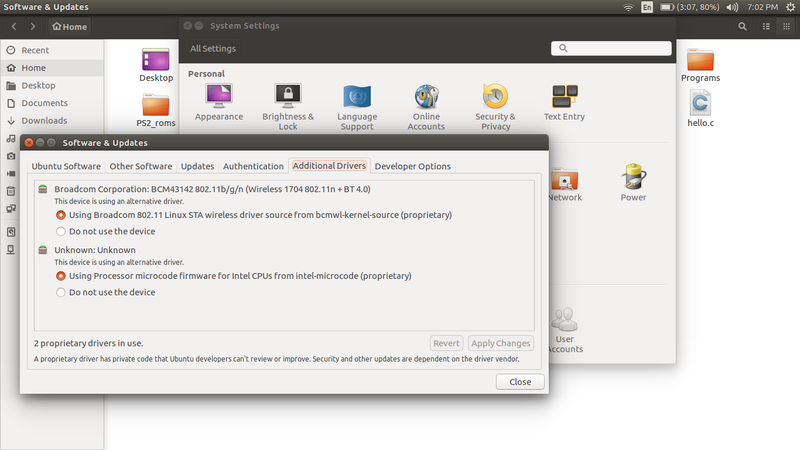 I am using Ubuntu 15.10. I too had this same problem. The only solution that worked for me is to change the network driver. Not the answer you're looking for? Browse other questions tagged drivers wireless network-manager broadcom or ask your own question.